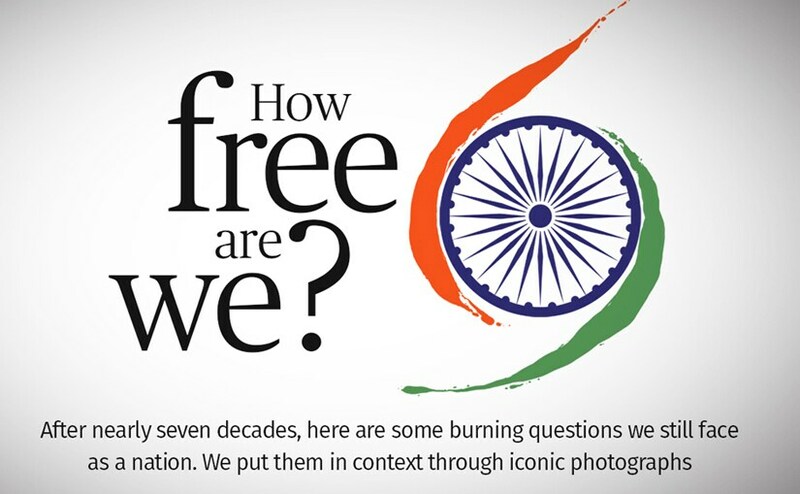 As the red fort prepares to usher in another year of liberty for the world’s largest democracy, we need to ask ourselves how free are we? 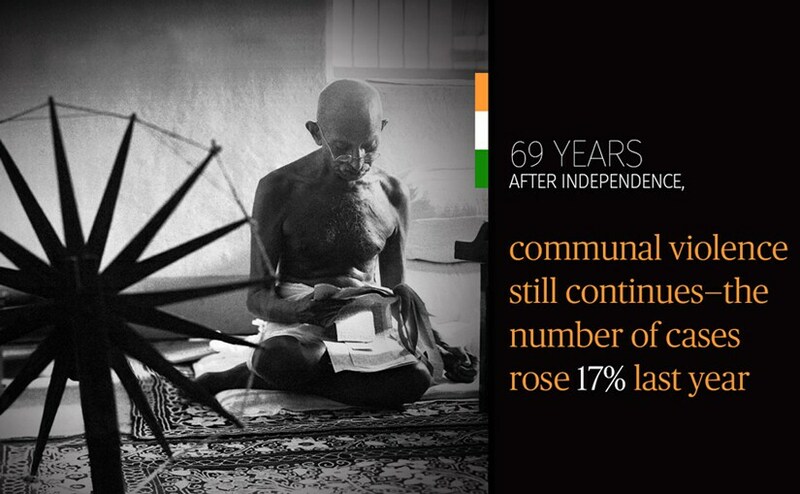 After sixty-nine years, we may have achieved our independence, but has it seeped into every strata of the Indian society? We took some help from iconic photos from around the world to put the spotlight on some unsettling facts closer to home. Why are farmers still at the mercy of monsoon? The country has almost been de-sensitised to news about farmer suicides. But that doesn’t change the fact that there have been more than 10,000 recorded cases of farmer suicides, according to figures from the Ministry of Agriculture. At present, around 330 million people in India are suffering a severe drought, which has caused an acute drinking water shortage crisis, especially in the states of Maharashtra and Telangana. Despite the media outcry and political assurances, it doesn’t changes the fact that farmers don’t have enough water to drink, let alone to grow crops with. What does independence mean to them? 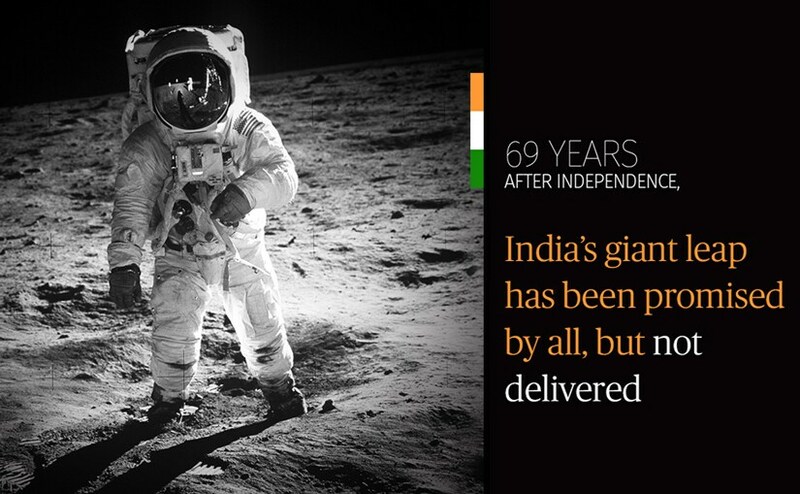 Why has there been no giant leap to space for India? With the shadow of Antrix-Devas scam looming on Indian Space Research Organisation's (ISRO) head, the organisation is facing a lot of flak. The resulting loss of Rs 578 crore sticks out like a thorn especially since India's space programme is heavily criticised worldwide. This cartoon by The New York Times’ Mangalyaan cartoon proves how seriously India’s spaceflight program is taken. Do we have enough jobs for our growing population? With about 800 million people below the age of 35, India has the largest young population in the world, but doesn’t have the infrastructure to sustain them. Data released by the Labour Bureau shows that there was a decline of 20,000 jobs across eight labour intensive sectors in the December quarter of 2015. 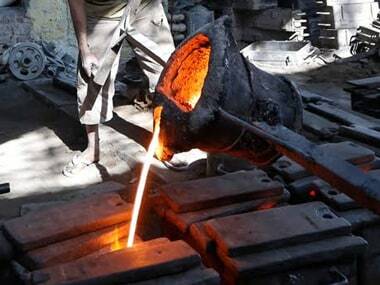 This jobless growth puts a sour note on our praises of the nation’s growth story in light of Independence Day. 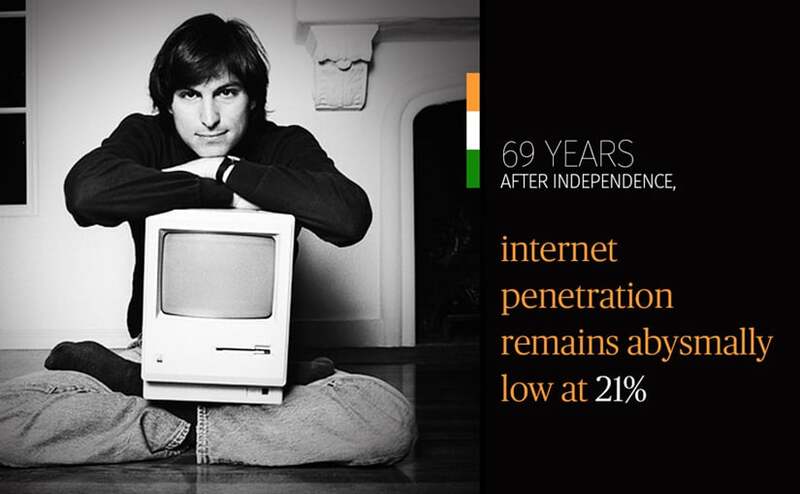 Has there truly been a Digital India revolution? India’s road to development with the use of internet has been tirelessly discussed. India's GDP would increase by 1 trillion US dollars by 2020 if the entire population gets internet. There has been an exponential rise in the internet penetration in the country, but it has been a disturbingly disproportionate rise. Compared to the global median of 67 percent of the adult population having access to the internet, India’s figure remains at a low of 21 percent. According to Telecom Regulatory Authority of India’s (TRAI) report Mobile Internet in India 2015, only 9 percent of rural India has access to mobile internet. Will this rural population see independence from this inequality? Where does women's safety stand today? Since its inception, the Nirbhaya fund is allocated Rs 1,000 crore each fiscal year. But the total corpus of more than Rs 3,000 crore still remains unutilised. According to a 2014 report of the National Crime Records Bureau (NCRB), 93 women are raped in India every day. The figures aren’t getting any better and woman’s safety in India is questioned globally. 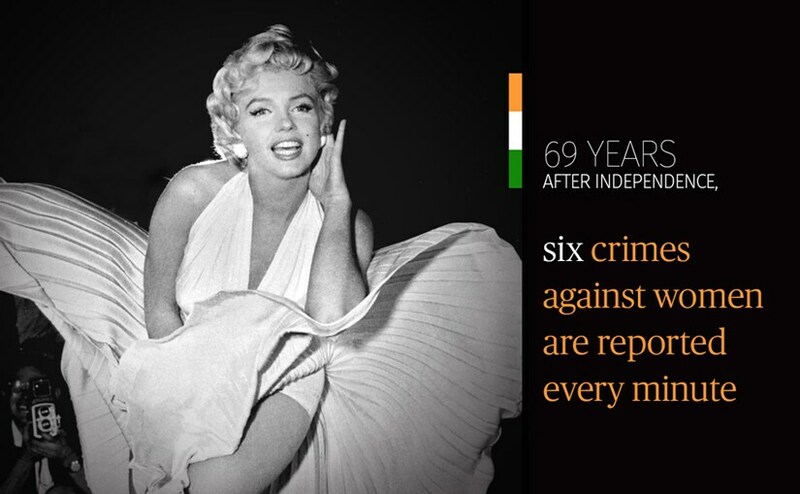 When will women feel safe in this independent India? Will there be an end to communal violence? 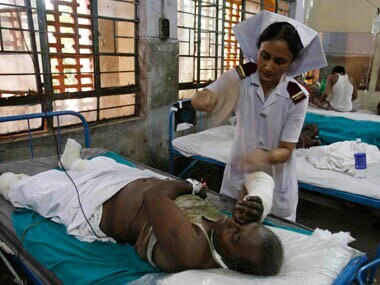 Communal violence has simmers under the skin of India society and often erupts into riots. It is almost ironic compared to the nonviolent and collective resistance of our forefathers who fought for India's freedom. According to data put out by the Centre in reply to a Lok Sabha question in February this year, there was a 17 percent rise in communal violence in 2015. At least 751 incidents were recorded. 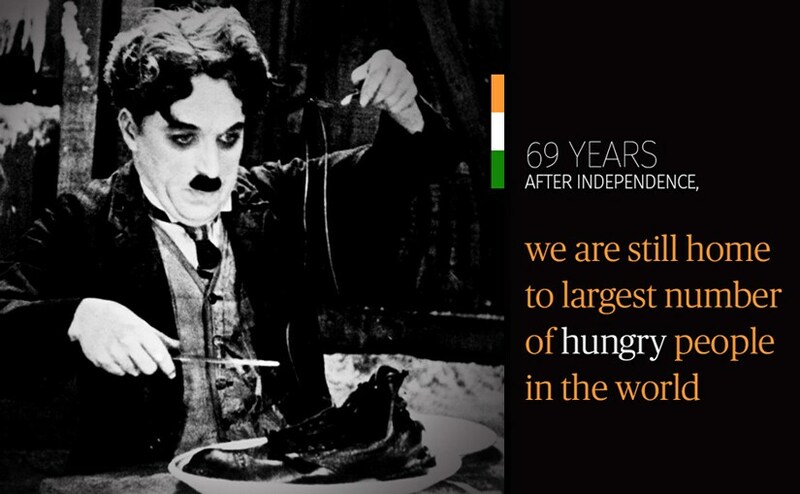 So many Indians still go hungry everyday, what is being done about it? 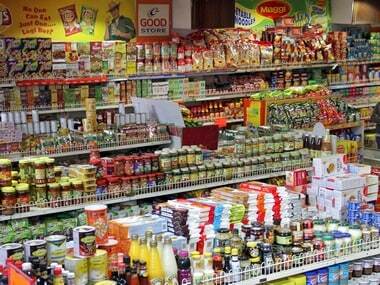 India has the largest undernourished and hungry population in the world. According to a report by the Food and Agriculture Organization of the United Nations, there are 194.6 million undernourished people in India, the highest in the world. Let that fact digest when you distribute sweets on this occasion. Is the road safety crisis being addressed? 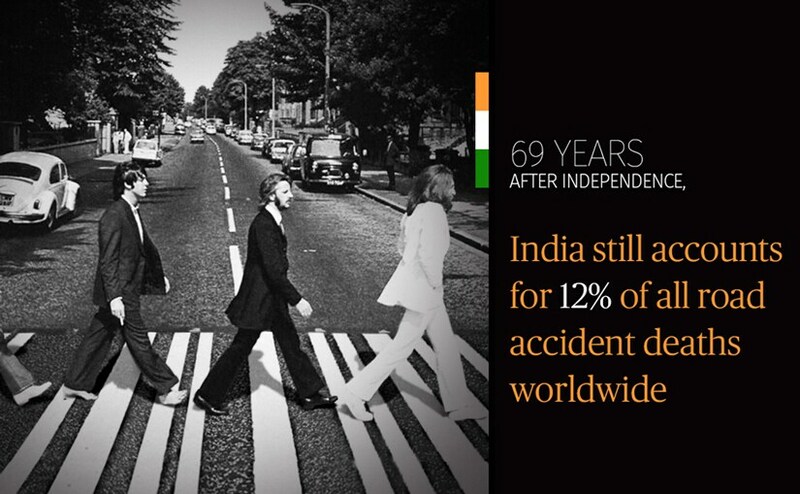 India doesn’t just account for 12 percent of all road accident deaths worldwide; it has also acquired the notorious title of having the world's most unsafe roads. Data by the Ministry of Road Transport and Highways reveals that 400 people are killed in road accidents every day and the numbers are only rising. 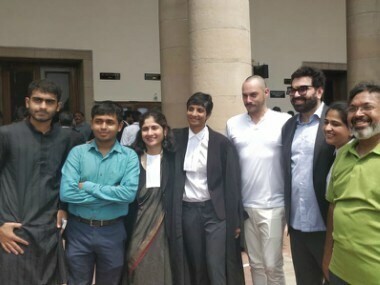 Will Section 377 ever be repealed? 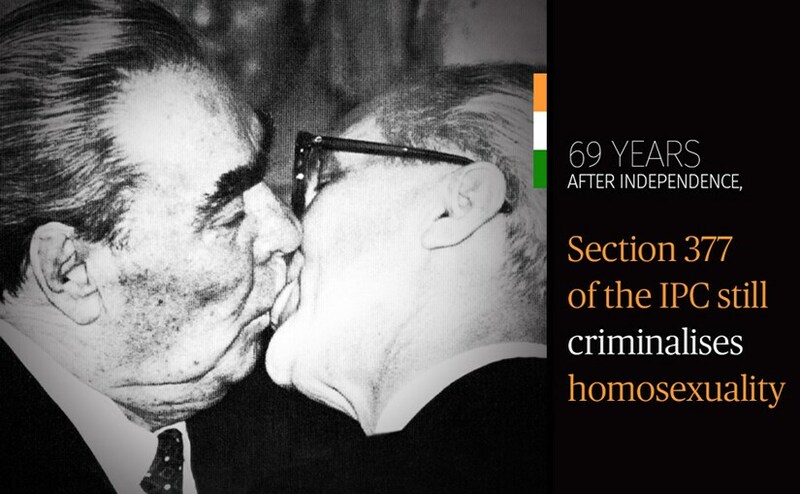 The archaic Section 377 still hampers the freedom of a large section of our population — the LGBTQ community. Numerous people cannot avail their rights because of this draconian law. 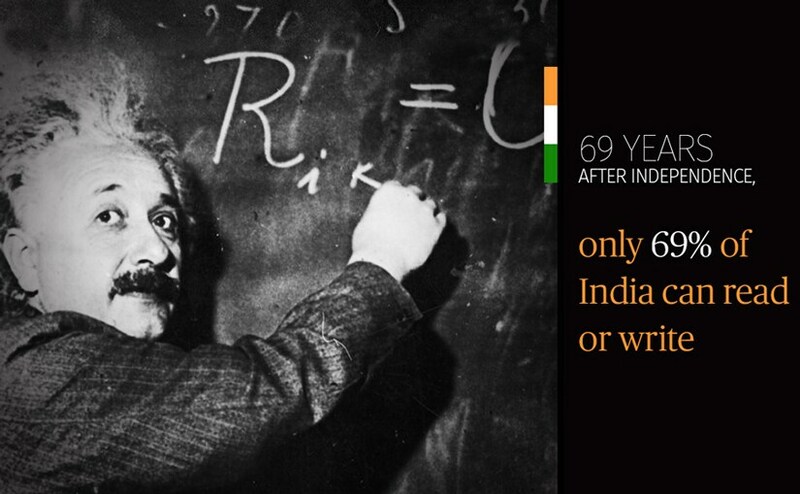 How many Indians are being deprived of their right to education? About 282 million Indians are illiterate, to put this number in scale, it is more than Indonesia’s entire population. One in every three child labourers in the age group of 7-14 is illiterate, said a study based on Census data. Over one-third of Indian population living in rural areas cannot read or write. The harsh fact is that the drop in illiteracy rate has not matched the rise in population. 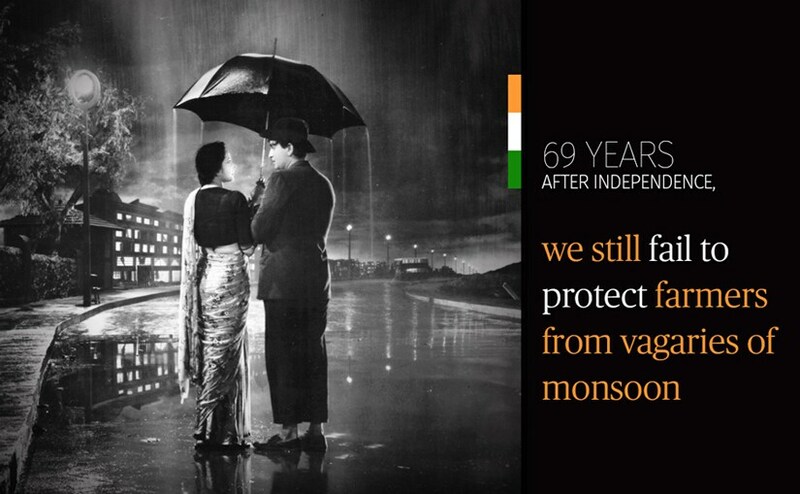 1Independence Day 2016: How free are we after 69 years of freedom?